The Harlingtonplus is the most configurable and versatile building regulation compliant extension product on the market. 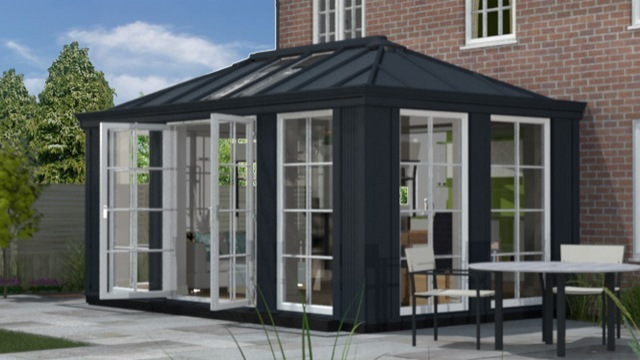 Incorporating Loggia Super Insulating columns and the stunning LivinROOF, the Harlingtonplus boasts superior thermal performance and adaptability that no other extension can match. 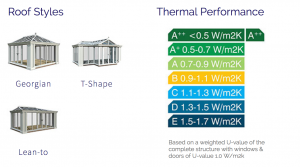 Extremely thermally efficient, complies with Building Regulations – choose to keep the doors through into the house OR have them removed. Creates a true extension with solid roof (add some glass panels if you like), super insulated Loggia columns combined with a plastered pelmet perimeter ceiling inside. The Harlington utilises LivinROOF, the ONLY solid roof that can incorporate shaped glazing. You can opt for various building shapes, colours and door and window configurations – all to suit the architectural style of your home. Your Ultraframe retailer takes care of the ‘red tape’ – hassle free project management from start to finish creates you the ultimate cosy extension.